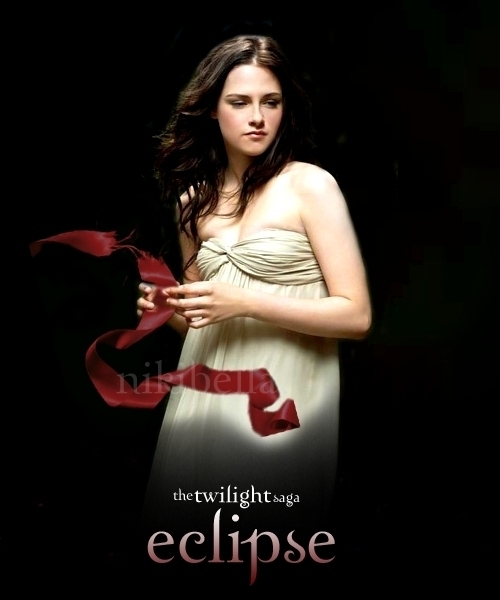 Eclipse Poster. . Wallpaper and background images in the Eclipse club tagged: eclipse twilight jacob bella edward. This Eclipse fan art might contain dinner dress, dinner gown, formal, evening gown, cocktail dress, sheath, portrait, headshot, and closeup.